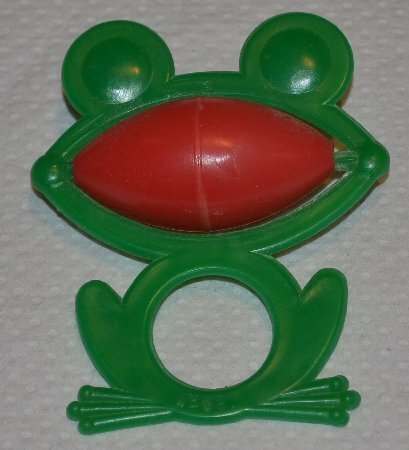 This frog was designed as a toy for children during Russia's Soviet era. The toy looks very flimsy and it may not be appropriate for babies that put everything in their mouth. The red portion of the rattle can rotate. Embossed on the handle is the price of 20 kopeks.